The SprintPack Power Manager is used to support Pulmonetics LTV® ventilators. The Power Manager has two batteries and two pigtail connectors. One is used to connect an input power source and the other is connected to the LTV® Ventilator as an external power source. 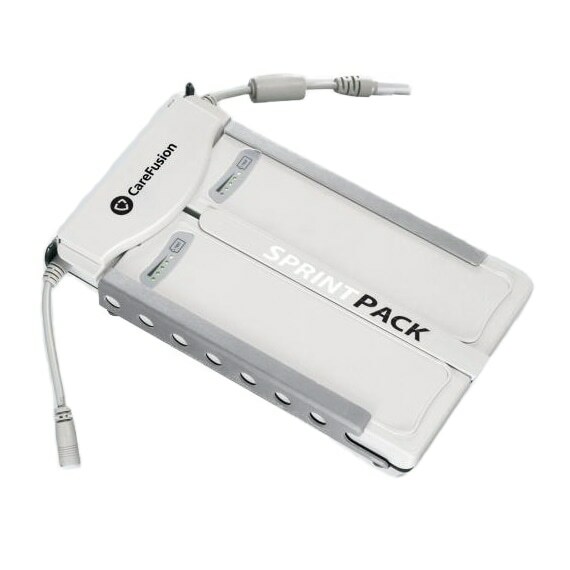 The SprintPack Power Manager accepts approved power sources at the Power Input connector.